2017/18 sees the DVSA taking another look at CBT and its structure, Instructor qualifications, theory test before CBT etc. Watch this space for more changes. There is also a possibility that A2 will be upgraded by training rather than test, however this may not be in the near future. From 2013 there have been changes to categories and sizes of bikes. DSA reminds motorcycle candidates to dress appropriately, see the "Your Test" page for details. Although the figures look pretty consistent they really are only a rough guide. People fail tests because they are tests. There are very few that fail because they are not capable. Most times it is one error due to overthinking and nerves. Sometimes a person can fail more than once for the same reasons. For all that, as you can see the vast majority do pass. Well 2014 was a pretty busy year. We had 168 mod 1 passes and 163 mod 2 passes both at a pass rate of 81%. 2013 was a quieter year for all schools and the DSA . 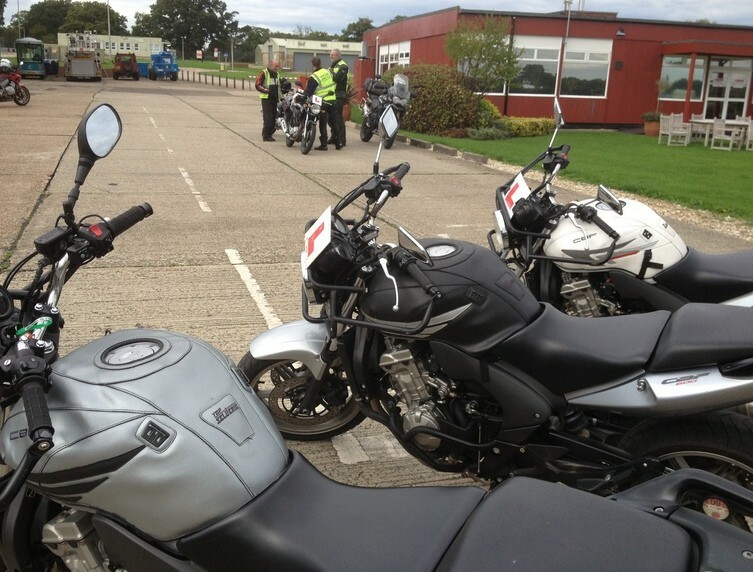 Far fewer motorcycle tests were taken , mostly due to the new test changes. For 2012 we had 242 module 1's with 184 passes at 76% which is down on last year. Unfortunately nerves really got to a few people who had a few attempts , but all got there in the end. For module 2 we have had 211 with 169 passes at 81%. A very good year in terms of the number of students, so thank you very much for choosing us and recommending us. 2011. This year we had a total of 154 mod 1's with 128 passes at 83%. For mod 2 there were 164 with 141 passes at 86%, so apart from the snow , all in all a good year for us and our candidates.